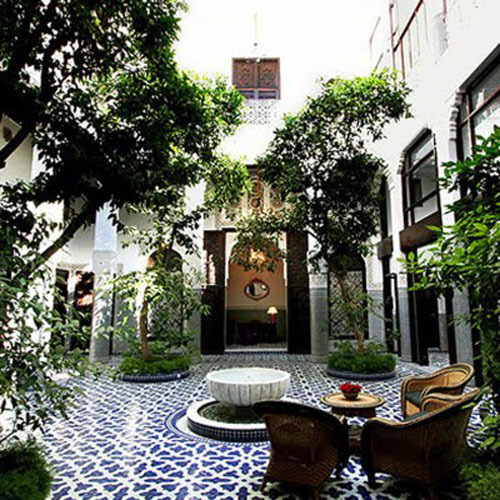 Courtyards are the most luxurious spaces in the world. The inside of a building is clearly a space ordered and controlled – by an owner, by an architect. 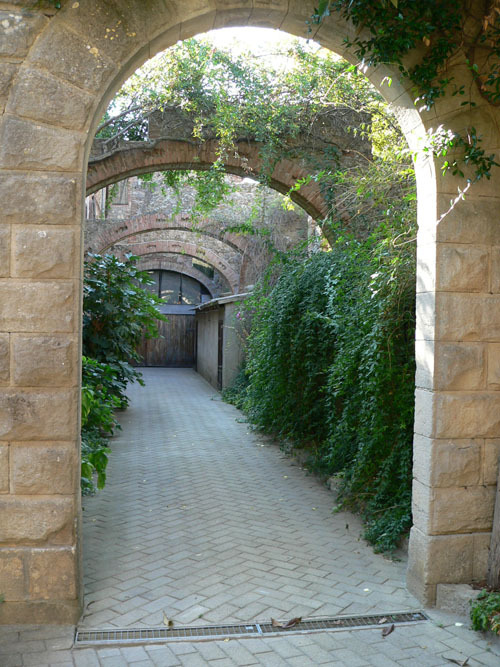 A courtyard, though tightly bound, is more a piece of nature borrowed, than a space owned. It is open, but closed; concealed within, but open above. 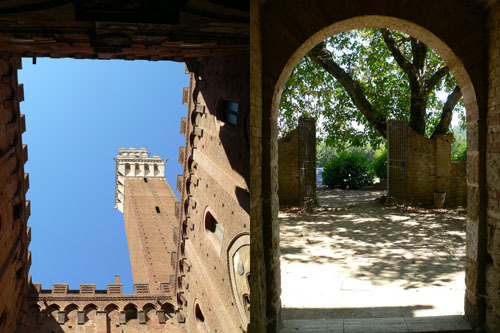 Most of all, a courtyard is sensuous – a stone bench, warmed by the sun; a cool, shadowy corner with the sound of a fountain trickling; and the ever present sky overhead. I don’t mean simply an outdoor space with walls around. That is an unintentional space, often a left-over space. Those are the dreary light wells of old apartments with dirty air swirling around a trash-filled floor. Those are the thankless, dank spaces between buildings, unused and unloved by all. What I am talking about here are the spaces intended as courtyards, spaces that hold nature lightly in the heart of a building. They are spaces where nature is domesticated but not tamed. Where the rain still falls, the heat and cold still pervade. But they are spaces that belong to humans, where nature is more an honored guest in the house, and by extension, they exist in houses where nature is honored. For an architect, a courtyard-centered design makes inescapably clear that the medium in which we work is not primarily walls and ceilings and floors, but space itself. The proportions and scale of a courtyard are probably more critical to the use and quality of this space than any equivalent interior room. Very small nuances of materials and dimensions, the angle of the sun at lunch, the place of the setting sun at the end of the day, are are so critical and intimately connect the courtyard to the natural world. And, by limiting the natural world to a view of primarily the sky or a single panoramic side, it is nature distilled and focused. But is still as variable as nature would allow, through the day, through the seasons. Every courtyard is a place on the earth like no other. 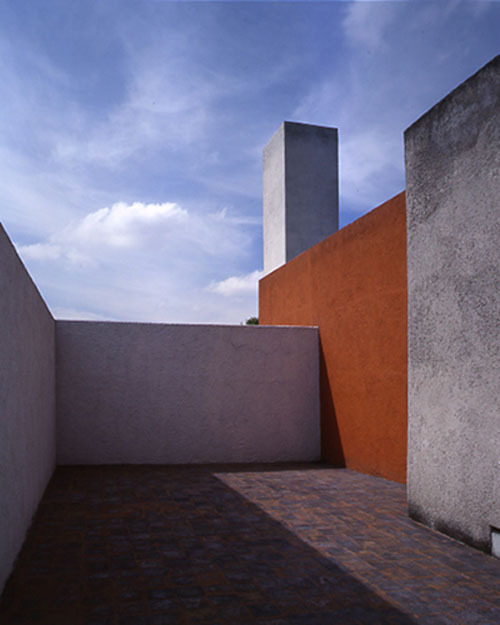 A courtyard marries the culture of the house to the nature of the earth. It is both, entwined. This is a custom house that I designed when I was a principal with Arcadea in Boulder. I have been overseeing the construction for over a year now and we still have a year to go. It is a large, courtyard-centered design on a steeply sloping site along Sunshine Canyon just west of Boulder, Colorado. See the earlier post called “Timely” for some discussion about the design influences and intentions. The masonry is coming along quite well and the mechanical and electrical work is about to begin. The contractor is Cottonwood Custom Builders, project supervisor is Scott Reardon. Photo by Mark Gerwing, 2007.